Influenced by classic reggae, jazz and the music scene of London, he cites King Crimson, Fela Kuti and Duke Ellington as personal influences. In 1981 he started the band CARMEL with his cousin Gerry Darby and friend Carmel McCourt. The band provided Jim with access to the music world as well as success. He discovered his desire to produce, and realised it with the release of GOOD NEWS in 1991. His impact and involvement with the band involved co-writing many of the groups songs throughout their 18 years together and managing the band in the mid 80s. Jim's interest in African music has continued to influence his work throughout his career. He studied Ghanaian drumming in the early 80s and the CARMEL back catalogue includes numerous tracks that both use and mix African rhythms, often featuring UK resident African percussionists. Because of his natural ability to support a group as a bass player Jim has always attracted artists of unique insights and styles who look to him for support and inspiration. 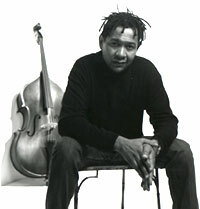 In 2000 he collaborated and toured with dancer/performer/poet Benji Reid on the highly successful trilogy The Waiting Room. In February 2004, Jim completed the soundtrack to Lemn Sissay's one man play 'Something Dark'. This received excellent reviews during it's UK tour, including Time Out pick of the week. For this piece Jim created a string quartet arrangement using bass, cello, viola and violin. He also got Lemn in the studio to record a poem set against congas and 2 electric basses. Since 1997 Jim has worked with the France and Spain based artsist Xumo Nounjio as part of Nzi Dada their work aims to reflect a joint interest in ancient African tradition whilst at the same time being fashioned by modern practices. In 2001 they performed for the first time as a band in the UK to a capacity crowd at the Contact Theatre at the X.trax festival in Manchester.They regularly appear in the UK and internationally with their indoor show 'Optional Groove and Functional Music' and a specially commissioned outdoor show 'Ritual Imaginaire'. In the last few years Jim has worked with theatre writer Sonia Hughes; the visual live artist artist Qasim Riza Shaheen; and Dutch painter/DJ/singer Wonder Allen Smith. Jim is currently conducting a PhD research project under the supervision of Professor Lynn Froggett, at UCLan. The research is a psychosocial investigation of the cultural phenomenon of traditional African art and music. In addition, Jim is currently working on a performance and film project with choreographer and tap dancer Imani Jendai.